It may surprise you that Brittany, after nearly a year living next to the horses, did not really understand that they were living, breathing creatures. Especially since the stock tank at the end of the horse paddock is used by the alpacas as well. See the stock tank there? The alpacas stick their heads in the horse paddock to drink from it. 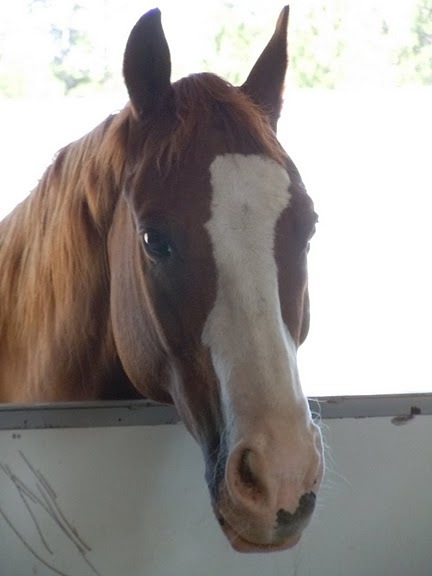 Tulip was quite proud of herself for figuring out how to stick her head into the horse paddock so she could drink from their super sized water bucket, and the rest followed her example. Mikayla and Heidi even got in a spit fight over who controlled it! It wasn’t much of a fight. Heidi went to bite Mikayla for daring to drink her water, and Mikayla spit green goo in her face. Heidi backed off with this “Well! How rude!” look on her face. But Brittany hadn’t shown much interest in the horses at all, until a few weeks ago. Mom was standing in the horse paddock, filling the stock tank. Boogie, our sorrel (red) was playing in the water as she filled it. Now, I’ve never really considered him the sharpest tool in the shed, but he is inquisitive, so maybe I’m wrong. And he’s a total water bug, much like the alpacas. Brittany heard the splashing and stuck her head through the fence to investigate, coming nose to nose with Boogie. And then, being Brittany, she actually began nibbling on his nose. But the truly surprising thing is that Boogie, instead of snorting in her face and backing up, began to nibble her nose back! The two of them stood there for quite a while, necks stretched out and noses meeting over the water tank, lipping at each other’s faces. And by the time they were finished, Brittany clearly understood that the horses weren’t furniture, but part of the herd. This entry was posted in animals and tagged alpacas, horses, stock tanks, water. Bookmark the permalink. 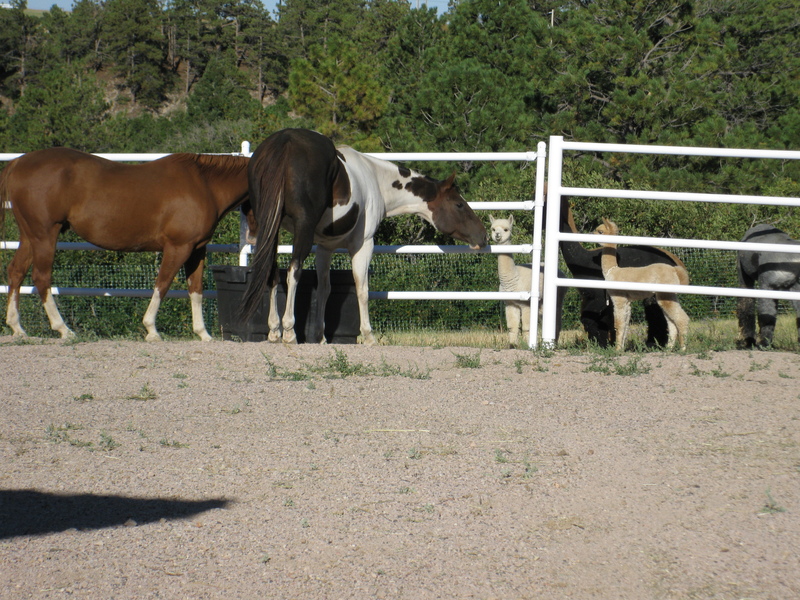 Have you ever thought about a web cam on your pacas and horses, or at least the water bucket? I can’t believe there is no pictorial evidence of this episode! I know! That’s what Mom said. But as she pointed out, as soon as she would have even twitched, they would have stopped being adorable! A web cam is a great idea. Dad has been thinking about doing like some security thing involving monitors and webcams…amazing how those priorities shift when there are things to be built.